← SITS Surprise for 700!!! You weren’t there at all the doctor’s appointments when they looked at me with so much pity and sadness I almost couldn’t breathe. Their mouths said “She’ll be ok” but their eyes said “Don’t expect much.” I saw it and I felt it but I didn’t believe it for a second. You weren’t there at all the evaluations by early intervention or therapists where I could tell they thought we were in for a major challenge. Their mouths said “We’ll help you and do as much as we can” but their eyes said “Don’t expect much.” I saw it and felt it but I didn’t believe it for a second. We didn’t subscribe to the belief that we had to have hours and hours of therapy a week. We haven’t had much at all, actually. We decided it was most important for us to be a family and for you to be a kid. We worked hard with you at home, you worked hard at school, but our number one goal was that you felt like a kid. Not like someone who needed to be pulled and prodded and constantly worked over. Just a kid. We expected everything from you. It might take longer for you to do things, but we know you’ll do it. We believe in you. We love you. We are amazed by you. Every single day. Olivia spells really hard words and types them herself! Olivia working hard on those O’s. Her hands don’t like to write at all! We’re so happy to see them getting smaller and more precise! Believe in your child. Treat them the same as you would if they were “typical”. They will amaze you!! Beautiful post and great job Olivia!! I’m proud of her! I have difficulty myself with schoolwork growing up. Doesn’t matter who you are at all or what challenges, learning is rewarding. Fabulous…is right!! 🙂 I love how excited she gets over everything. I wish the world was filled with more people like Olivia. Nice job, girl!! (ps: YOU are one fab mama, too. That is just God’s honest truth. Don’t make that “psshhht” noise, either. I know you just did!!) Miss you!! 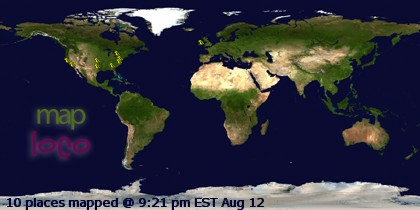 Let’s get together soon and chat the night away!! Love love love! OK so the spelling test. I want more details. How does the adaptive stuff work in the classroom. I see writing being a long term issue for Riley and I don’t have a clue how it all works in the classroom. How is she set up so she can type? Doe she use an IPad or a computer? Printers? I need details 😉 I love that there are so many ways she can show you how smart she is and how much she has to say and share and not be stuck because her hands don’t want to write. YAY Olivia! 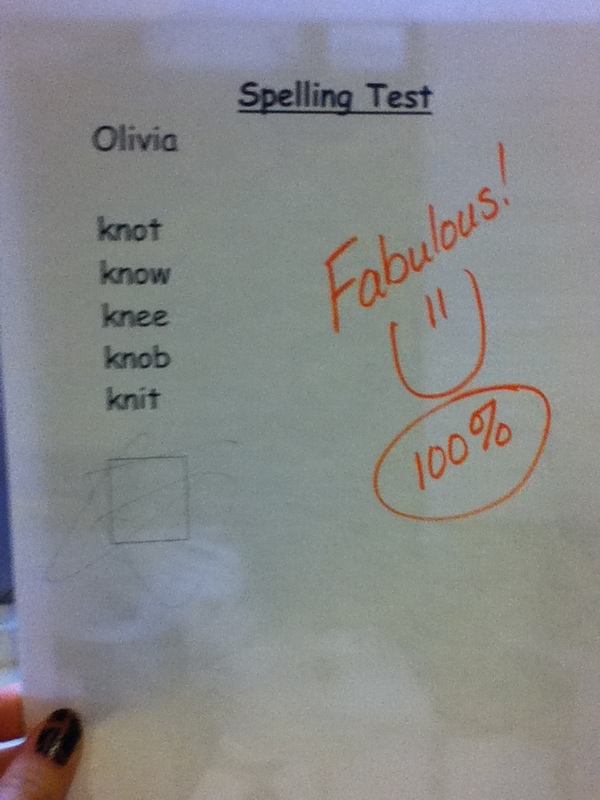 I love that the teacher wrote fabulous on the test! Thank God that you expected much. She is mighty and I am sure that has something to do with her Mommy! Believe on. Believe on. That was wonderful! Hailey wanted to watch it over and over and over again. Way to stay positive and strong. It’s the only way to keep going forward. Good luck and God bless! You did GREAT counting by 5’s! I am so glad you are in my class again this year. 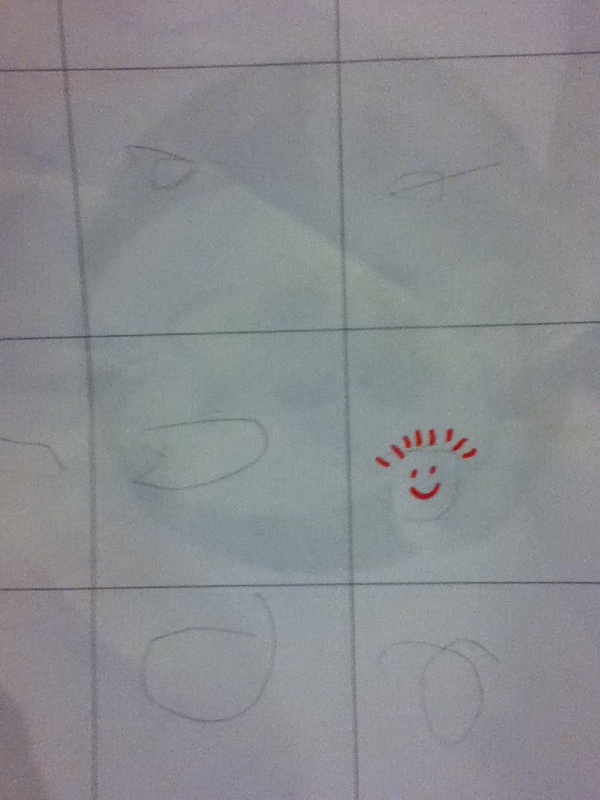 Good job on your spelling test! You do great on your news articles too, especially today. Awesome! Way to go Olivia. She is amazing!!! You make me cry all of the time. This is such a great blog; love, love, love reading all of them. We can use your thoughts and words in so many areas of our lives. INSPIRING! Amazing. She is going to be such a great teacher to the world. It’s so sad what our society makes us “expect” and that if we don’t come out exactly how they “expect” we should just cower and try to cope with the bad hand we were dealt. Your daughter was born with such a special and difficult gift in this life. It is awesome to see parents embracing it. God doesn’t make mistakes. “Fabulous” with a big smiley face … that’s a perfect description. Great work, Olivia!! It’s so powerful to believe in people. People rise to the expectation you set for them. ROCK ON OLIVIA!!! You keep on being awesome young lady!!!! Wow she is a super star!!! I am so so so impressed with all her hard work. She seriously is spectacular!